Wrestlemania was the first and most popular event for the WWE, a professional wrestling company that started as the WWF (World Wrestling Federation). This year, professional wrestling’s Superbowl will take place on Sunday, April 7th at 7 PM EST. Of course, if you are in the United States or in certain parts of the world, you can watch it through a variety of different ways. If you are not in one of those areas, however, you may be stopped from seeing the event. That said, you can watch it everywhere by using VPN. For the quickest and easiest way to watch the Wrestlemania, follow these steps. Open a browser and connect to the WWE Network or you can order the WrestleMania Pay Per View. Please note that you will need to sign in or register on their website first before you can watch anything. You will want to register with the VPN on as well. 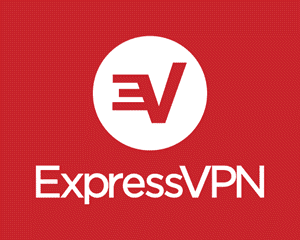 If you do not have credentials, you will need to sign up for the service using a VPN as well. Enjoying WrestleMania is easy. Simply go to the WWE Website to start your free month and start enjoying. If you decide to keep the service after the trial, it is $9.99 a month. Let’s take a quick look at some of the match-ups this year. Winner Takes All – Becky Lynch vs. Ronda Rousey vs. Charlotte Flair. WWE Universal Championship Match – Brock Lesnar vs. Seth Rollins. Fatal Four-Way for the WWE Women’s Tag Team Championship – The Boss-n-Hug Connection vs. The IIconics vs. Beth Phoenix and Natalya vs. Tamina Snuka and Nia Jax. And a few other match-ups. It will definitely be exciting. Geo-blocks are often annoying. Because of world licensing and broadcasting rights, media companies mostly block anyone outside of their targeted area. In other words, if you are traveling, want to watch matches outside the system, or just want to watch something new from an area, the blocking software will stop you. Since it can detect IP addresses, it can tell if you are outside of the targeted area. By connecting to a VPN, the blocking software will think you are located someplace else. Of course, you can watch more than just WrestleMania by using one. As you can see, there are some great matches to watch in the tournament and some good ways to watch them. Though there are other providers available, we think these are the best choices. No fan of professional wrestling should have to miss out on some epic matches. If your goal is to unblock and stream WrestleMania, you have come to the right place.